Russia has announced plans to set up a permanent military base in Syria, as an appropriate "measure" against the "terrorist threat." Russia is planning to expand its airbase in Syria into a permanent military facility, a senior senator said Thursday. Russia's Hmeimim airbase outside the Syrian coastal city of Latakia currently houses warplanes used in Moscow's bombing campaign in support of long-time ally Bashar al-Assad. "After its legal status is agreed upon, Hmeimim will become a Russian military base. The appropriate infrastructure will be built and our servicemen will live in worthy conditions," Frants Klintsevich, the deputy head of Russia's senate committee for defence, told Izvestia newspaper. Klintsevich added that the number of Russian warplanes based in Syria could grow but dismissed the possibility that nuclear weapons or heavy bombers could be permanently based in the war-torn country. "Reconnaissance and fire support from the Russian air force allows the Syrian army to successfully complete the tasks at hand," Klintsevich said. "Russia understands that if measures are not taken, the major terrorist threat will reach it too." 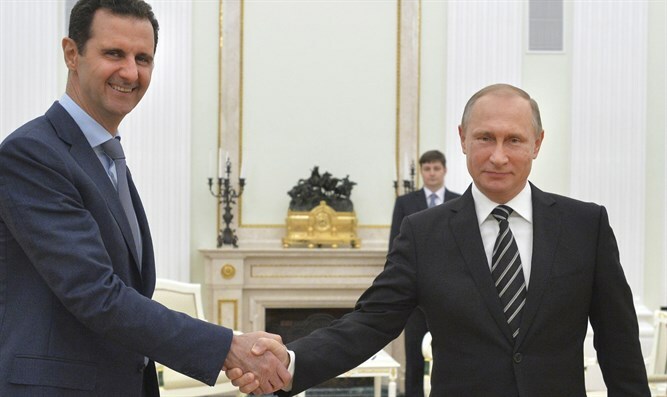 In a move that could indicate Moscow is seeking to establish a more permanent military presence in Syria, President Vladimir Putin requested earlier this week that parliament ratify an agreement inked with Damascus last year to set up the base. Moscow, which also operates a naval facility in the Syrian city of Tartus, began its bombing campaign in support of Assad's forces in September, a move that helped shore up the Syrian regime's crumbling forces. President Putin in March ordered the surprise withdrawal of the bulk of Russia's military contingent from Syria, claiming Moscow's mission in the country had over all been accomplished. Putin said however that Moscow would maintain an airforce facility in Syria to help monitor the progress of a ceasefire in the war-torn country. The Kremlin has in the past denied that it was building other military facilities in Syria.